While there are many romantic movies where co-stars have hated each other, there are also several movies where the co-stars loved each other for real and became partners in real life. WheeBuzz brings you a set of movies where the actors didn’t pretend but were actually in love. 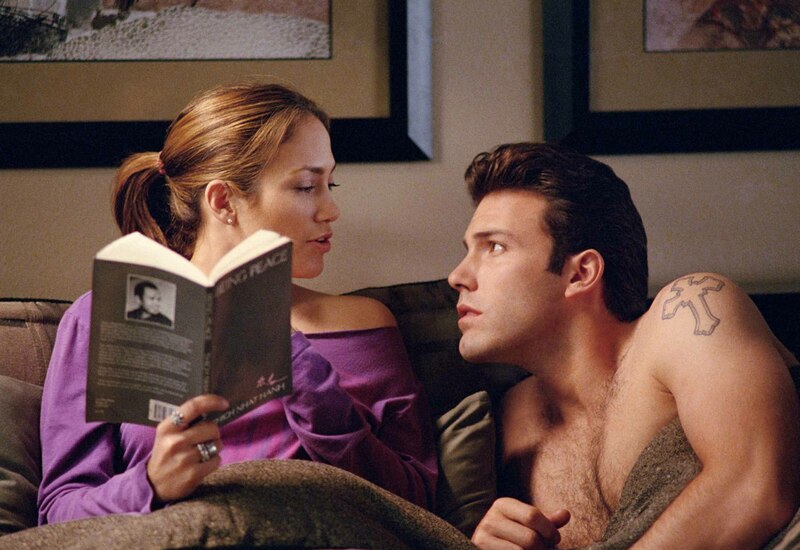 In Gigli, Jennifer Lopez (Ricki) is a man-hating killer who falls in love with Ben Affleck. After that her life changes for the better. Little did Jennifer Lopez know that she would actually fall in love with her co-star for real and both Jennifer Lopez and Ben Affleck entered into a romantic relationship during filming. Penelope Cruz and Javier Bardem are a married couple who are about unusual. Both are Spanish and both passionate people. The emotional chemistry resulted in a passionate romance that led to a real marriage. A strong chemistry developed between Reese Witherspoon and Ryan Phillipe on the sets of Cruel Intentions. They were married after that but unfortunately the couple divorced in 2006. Italian heart-throb Monica Bellucci and French actor Vincent Cassel were enamored with one another during filming of the Apartment in 1996. This resulted in a whirlwind romance for several years. They divorced later in 2013. The Rum Diary was one of Johnny Depp’s noteworthy films. It was also significant for the actor because it was during this film that he met Amber Heard whom he fell in love with. Depp was a bachelor and so proposed to Heard after the film was made. Depp proposed to Heard even though Vanessa Paradis his partner for 14 years was waiting in vain. The problem is that the relationship ended up in a murky divorce after two years with heard accusing him of domestic violence. Ironically Depp married Paradis after that. You must have enjoyed the movie step up and how it actually made you want to dance. There was a sparking chemistry between Channing Tatum and Jenna Dewan. The two fell in love and got married and this is one couple who have remained married till today. They also have a daughter. You might have seen this movie which was a fast-paced car racing flick starring Tom Cruise and Nicole Kidman. The two immediately fell in love and the on-screen romance became very real culminating in marriage. They became of Hollywood’s hottest couples. Jude Law loved playing a Casanova in the movie and had no problem shooting those love scenes with Sienna Miller. The passion of the onscreen romance ends up in a real one after the movie. This movie gave birth to the entity Brangelina. Brad Pitt and Angelina Jolie seemed to have been smitten with each other. Pit divorced Jennifer Anniston and married Angelina Jolie instead. The marriage lasted quite a long time (12 years) till they divorced last year. Spidey was truly enchanted with his co-star Emma Stone. The couple developed feelings for one another and soon entered in a relationship after the movie. Although they separated, rumors are on that they may be getting back again.